Few things make me more giddy than the chance to catch a glimpse at an endangered species! On Lake Saimaa, the largest lake in Finland, and the fourth largest natural lake in Europe, it would be the elusive Saimaa ringed seal! I couldn’t think of a more perfect start to my 1300+km cycle along the Iron Curtain Trail! Savonlinna is a few hundred kilometers away from the start of the trail, but it was my starting point due to time constraints. One of the purposes of the trip was to experience the nature and wildlife that Finland is famed for and searching for the Saimaa ringed seal was an ideal start! OK confession time. Not only had I never actually heard of the Saimaa ringed seal before, I had no idea that seals were actually endangered. In fact, the Saimaa ringed seal is one of the most endangered, if not the most endangered seal in the world! There are only 310 remaining! It’s only found in Lake Saimaa, and is a protected species. Saimaa ringed seal photo courtesy of: Teuvo Juvonen. Used with permission of VisitFinland. The Saimaa ringed seal is unique in a couple other ways; it’s one of only a few freshwater seals found on the entire planet for starters! And unlike most other seal species, it’s solitary – makeing it even more difficult to spot. On other seal excursions I’ve been on, I have often heard the barking of the pod (group of seals) long before I’d seen then, but given its solitude, I would have to use my eyes, not my ears to be lucky enough to spot a Saimaa ringed seal! Captain Janne Leinonen assured me that today was perfect Saimaa ringed seal spotting weather. The water was as smooth as glass making it easier to see a bobbing head. 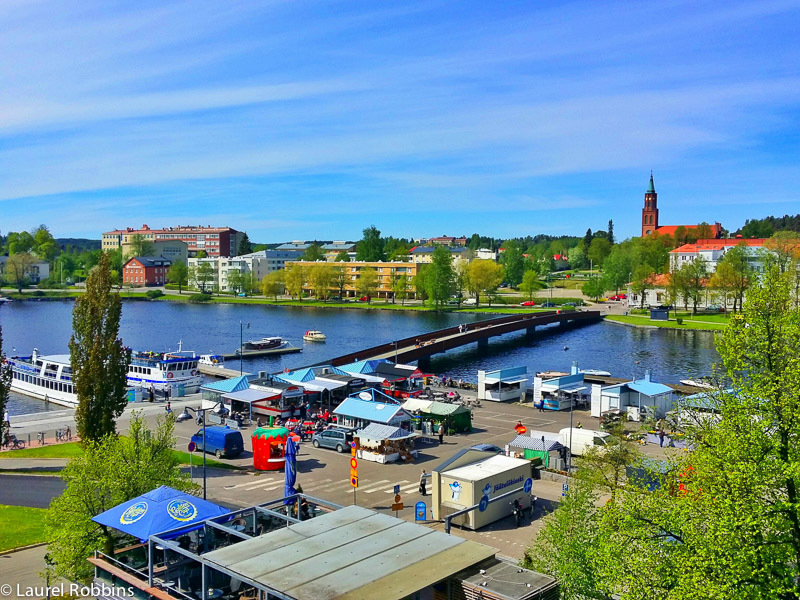 During the summer months he offers multiple seal safaris daily aboard his original Finnish handmade steamships, a tribute to the days when waterways were the main roadways! He says he usually spots at least one seal a day, but admits that many locals have never seen one. Indeed, the three other locals I spoke with said they had never been fortunate enough to see a Saimaa ringed seal. Then again, they might not know the secret hiding spots that Captain Janne Leinonen has learned from spending hours each day during the summer months on the water! Saimaa ringed seal photo courtesy of Teuvo Juvonen. Used with permission from VisitFinland. Would my luck be different? I did have the advantage of being with Captain Janne Leinonen, who had eyes sharper than knives and was an expert at seal spotting! St. Olaf’s Castle as seen from Lake Saimaa. Within minutes of departing I had a great view of…not a Saimaa ringed seal, but of St. Olaf’s Castle which dates back to 1475! 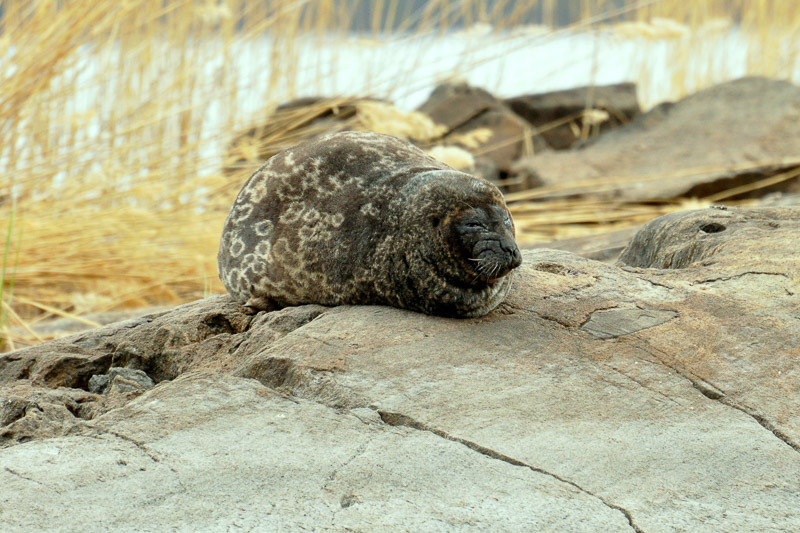 Although I am a huge castle lover, it turns out the Saimaa ringed seals are not – they are rarely seen near the castle. My eyes played tricks one me, as every flash of movement I saw, usually a bird, turned into a potential seal! Janne pointed out an area to me where the seals were most frequently spotted. Here, I convinced myself that even the non-moving options – like dark rocks on the shores where indeed Saimaa ringed seals! – They were not! One of the Saimaa ringed seals favourite hangouts. Unsurprisingly, the lake is dotted with cottages. Some of them are even on their own private islands! They wouldn’t be allowed to be built now for environmental reasons, but they are allowed to exist if they had been previously built like the one below! Cottages, dot the shoreline of Lake Saimaa, some of which are available for rent. Alas, even with the combination of perfect weather conditions and my eyes playing tricks on me, no seal magically appeared. Lake Saimaa is incredibly pristine and it’s worth going for a cruise just to be on the lake. If you happen to see a Saimaa ringed seal, consider that a bonus, not the end goal. But with only 310 individuals remaining, do it today! While I truly hope the Saimaa ringed seal will recover its populations, it’s future remains uncertain. Still, I was disappointed that it had eluded me, despite me unsuccessfully willing it’s appearance, so I gave myself a consolation prize in the form of a Finnish speciality – black liquorice ice cream! Yum!!!! The liquorice ice cream is definitely worth trying, I loved it! I miss this from when I lived in Canada, it was always my favourite! When accompanied with the peacefulness that is Lake Saimaa it’s a rather indulgent consolation prize for not seeing the Saimaa ringed seal! As I sat eating my ice cream, I wished the Saimma ringed seals well! Eating icecream on Lake Saimaa. Book your own seal safari. Rates at time of writing were €12 and up, depending on the cruise. Check out St. Olaf’s Castle. If you’re there in July, be sure to check out the month long famous Opera Festival! Eat waterfront at brewery restaurant Huvila on the shores of Lake Saimaa. The building dates back to 1912 and was formerly a mental hospital! They even have live music several times a week! I thoroughly enjoyed my meal there (pictured below)! The view from my room at Original Sokos Hotel Seurahuone Savonlinna. My main course at brewery restaurant Huvila, on the shores of Lake Saimaa. 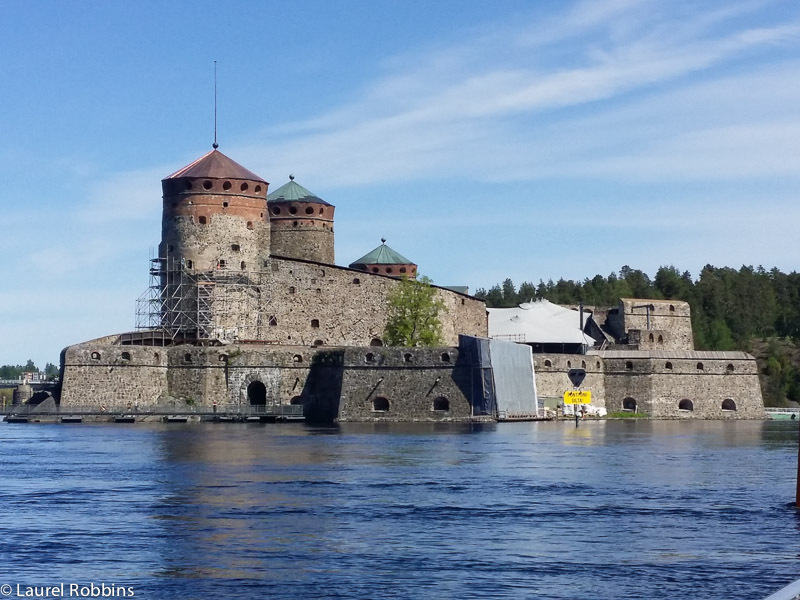 Disclosure: Many thanks to VisitFinland and for the Iron Curtain Trail, Finland for making my visit to Savonlinna possible. As always, all opinions are my own. Thanks for raising awareness to save these lovely creature. There are so many creatures like this endangered in the world today. But good to know there are some people still looking after them. I can also recommend renting a houseboat, or sailing. I spent 10 days on one with a built-in sauna, and loved the ability to roam freely and settle for the night on the remote islands and coves. We didn't see one ringed seal, but we did see every other kind of wildlife the lakes had to offer. @Lee - Thanks for the tip! Sounds like a great experience - too bad about not seeing a seal though. Posts like these make me miss my home country! ...although I've only been to Savonlinna once, and never seen the seals. :) I thoroughly agree with your recommendations, though. We also had drinks at Huvila - what a nice atmosphere! - and Sokos Hotel Seurahuone was the perfect base for our excursions. And Wagner's Lohengrin performed in the medieval Castle... an amazing experience! @Jenni - The seals are very elusive, or so I'm told! Glad that you had a great experience.